Normally CW is my favourite mode, but but from time to time I use digital modes on Hf like PSK31/PSK63 for example to complete the white spots for my DXCC-Award. Talking about HF-bands I never saw any use of JT65-modes here because for me it is much too slow compared to a nice CW contact. With the availability of the new mode FT8 things changed. The software based on a FSK 8 tone code, an occupied bandwidth of 47 Hz and a 15 second tournaround! This increased the activity dramatically and even rare DX-stations appeared and uses FT8 mode. 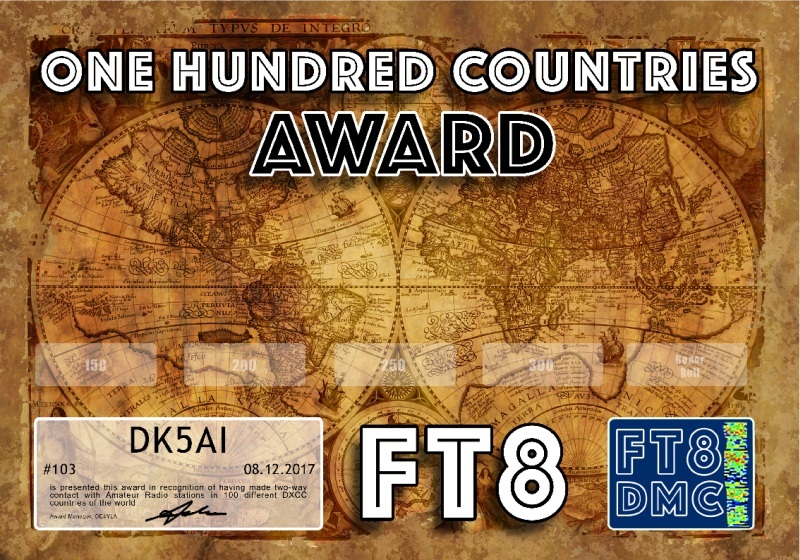 These days Joe, OE4VIE, has initiated the FT8-DMC Club and offer some very nice and colourful, free of charge pdf-Awards. They pushed the activity right again, not to say there is a real FT8 hype now. The WAC Award (Worked all Continents) is not a challenge at all, because it could be worked within an hour by a well equipped station. The DXCC Award is even more difficult and issued for contacts with 100 DXCC entities, like the original by ARRL. 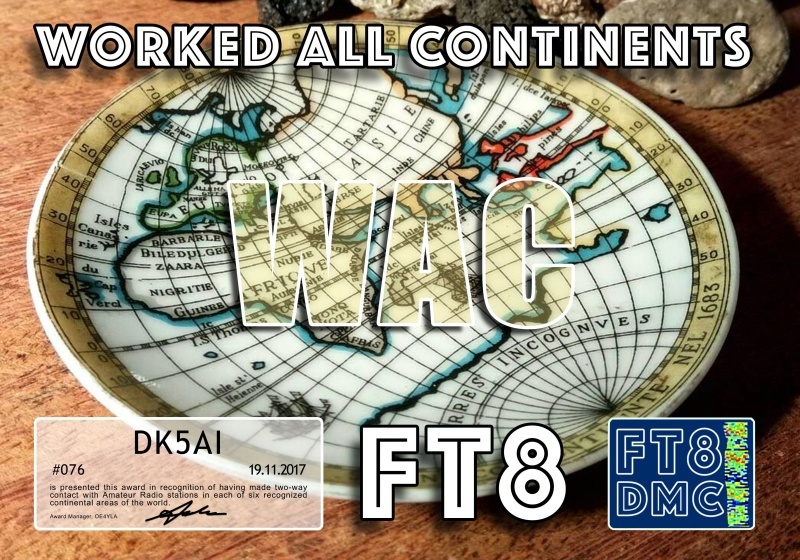 This entry was posted in Awards and tagged Awards, FT8 by dk5ai. Bookmark the permalink.